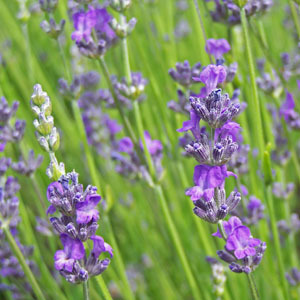 This cultivar of English lavender was bred specifically for a high quality oil content. Nice as a culinary variety. It has compact growth and purple calyces/violet corollas. Good also for dried flowers and potpourri. Blooms again lightly in fall.